"It is a unique book that includes all essential information in one single place covering manual as well as automated testing and builds the confidence." "This book is the reason I was able to become a Test Automation Engineer without having any background in software. Not only did it help me master highly technical interviews and get me a high paying job, but it also instilled principles that have allowed me to excel above my coworkers." "This book is extremely helpful for people like me and also for those who are interested in starting a career as a Quality Engineer." "It is an incredible Hands-on guide and helpful for Quality Engineers." 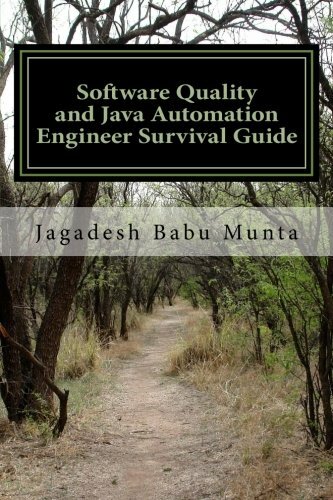 "This is a MUST HAVE book for each and every software engineer (DEV or QA doesn't matter)." "I can say this is certainly one of the best books around for Quality Engineers looking for a job." "An excellent review guide for those looking for the change of jobs as well and one stop for all testing phase/process and test automation." "Content is very practical/hands-on, I liked this fact." "This book provides more help to the people because it is highly informative." "The concepts explained in this book will help developers handle their day to day job duties effectively." Q : What is Software ? Q : What is SDLC? Why do you need such models? What are different models? Q : How is SDLC related to testing ? Q : What is Waterfall model ? What are different phases involved? #163, Indian Grass Terrace, Fremont, CA, USA - 94539. © Copyright 2016 Everydayon (I) | All Rights Reserved. Best view in 768x1024 resolution.